In most personal injury cases there are two parties that are involved, even in ones that do not seem to be so. For example, a slip and fall accident may physically include one party who was injured but the other party involved is the person responsible for the maintenance and care of the property that the accident occurred on. Accidents like those that happen between two vehicles are easier to determine the party at fault for the incident. What it comes down to is a question of each party and whether or not they were careful or careless in their actions. In other words, was the person negligent? The setting of an accident can make all the difference when determining fault or negligence as well. With the basic negligence rule being that everyone must take reasonable care to avoid injury to others, the time, place and relationship of the parties involved can make all the difference. For example, if you are standing on the sideline of a high school football game and during a play a player gets tackled out of bounds and into you — injuring you in some way — they are not negligent or responsible for the harm caused. If anything, you may be considered the at-fault party for standing too close to the field, where the football players are playing completely within reason of how the game is played. On the other hand, if a player got angry after a play and took off his or her helmet and threw it in frustration, hitting and injuring you on the sideline, they would be considered negligent. It is not within reason to throw your helmet into the sidelines and the thrower would be liable for any injuries caused. Prove you were careful and the other was careless – usually, the party found careless or even negligent ends up paying for your injury damages. Hold owner or manufacturer responsible – in some accidents, it might be the property or building owner responsible for your accident if they neglected to keep the environment safe for your use. The same goes for if you were injured by a tool, machine or product. If it ends up it was defective and caused your accident, the manufacturer of the product can be held liable. Minimize your fault/negligence – in New Jersey, there is what is known as comparative negligence. This means your actions in contributing to the accident in question can lessen the amount of compensation you may be able to receive. An experienced lawyer will be sure to prove the matter was out of your hands or responsibility. Argue reasonably – it sounds simple because at the end of the day it is. Nothing necessarily needs to be proved (other than injury and the extent of), there just needs to be a reasonable argument that the other party was negligent in their actions. An experienced personal injury lawyer is well versed in this type of litigation and can help get you the compensation you deserve. 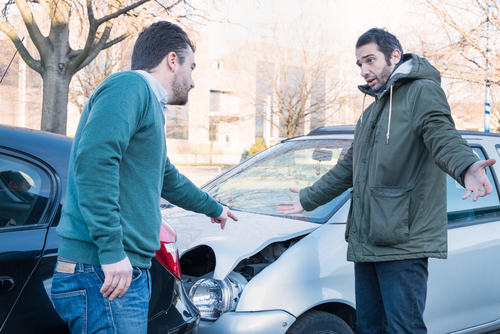 If you or a loved one has been injured in an accident because of another’s negligence contact Rudnick, Addonizio, Pappa & Casazza PC for a lawyer ready to help you. Call 732-264-4400 or fill out our convenient online contact form to begin discussing your case today.